Seattle, Dubai, Jakarta, Shenzhen, Tokyo. 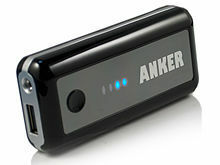 1) The year was 2011 when Anker was founded. 2) Anker first products were laptop batteries. 3) Anker headquarters is based in China but has offices in Seattle, WA in the USA, Dubai in the UAE, Tokyo,in Japan, Shenzhen, in China, and in Jakarta, Indonesia. Have been using Anker since December 2011 myself, I had a charger for my phone battery (being able to remove batteries from cellphones was a thing back then) and loved it and used it until I changed phones really! Anker was founded in 2011with originally producing replacement batteries for laptops. They have offices in Seattle, Dubai, Tokyo, Shenzhen and Jakarta. Offices in Santa Clara, Dubai, Shenzhen, Jakarta, Tokyo, Seattle. Answer: Replacement of laptop batteries. Answer: Tokyo, Seattle, Jakarta, Dubai and Shenzhen. Great that you presented AnkerBox after I asked what happened to it. Good luck everyone & Congrats to the winners!